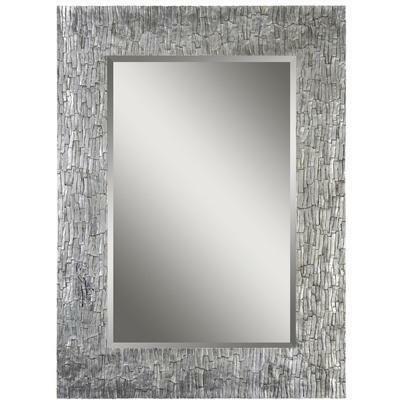 The border of the Santa Fe beveled mirror is rich and refined with its aged silver leafing and exquisite bark like texture. 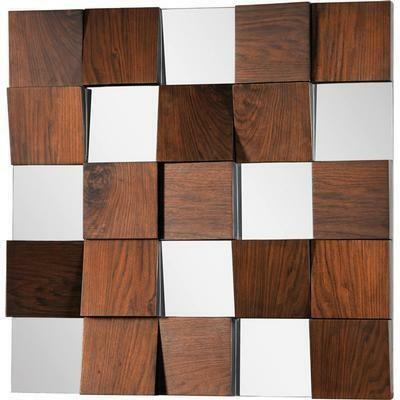 A web of rich espresso wood is skillfully inlayed into a polished mirror backing making the Modena Mirror a true piece of art. 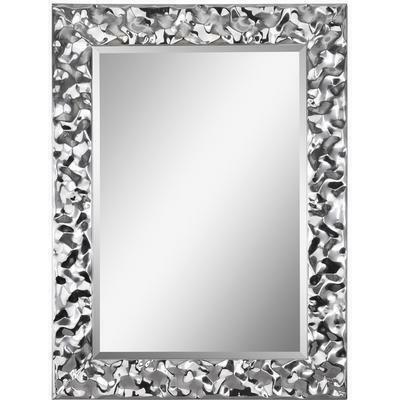 The crinkle chrome border of the Couture mirror creates a posh finish and a brilliant touch to any room. 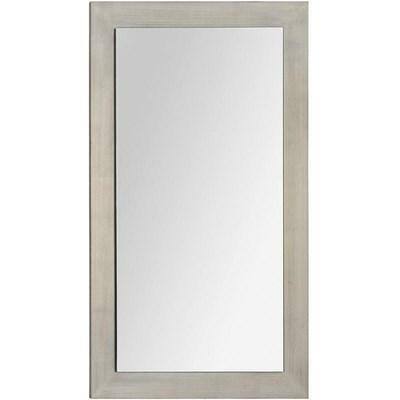 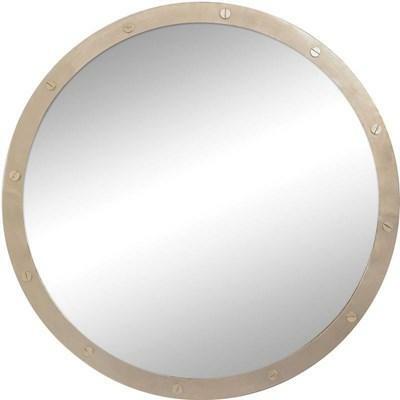 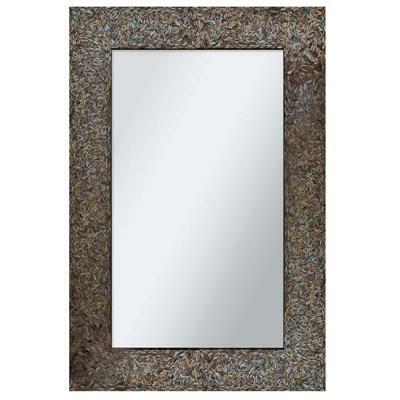 This modern mirror features a silver leaf finish highlighted with chrome corner accents. 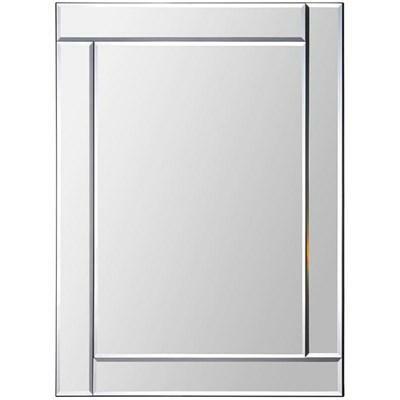 Mirror is beveled. 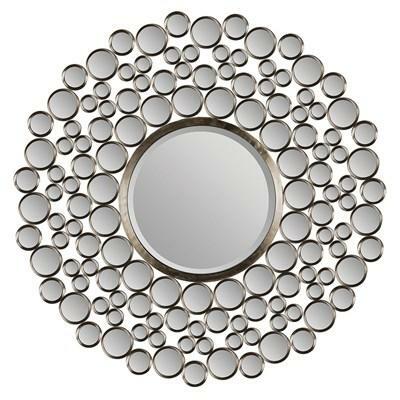 Inspired by the orange aventurine stones of Eurasia, this piece shimmers with its round mosaic frame gently inlayed with black. 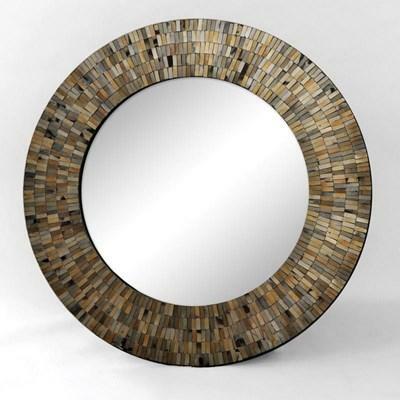 Backed with MDF. 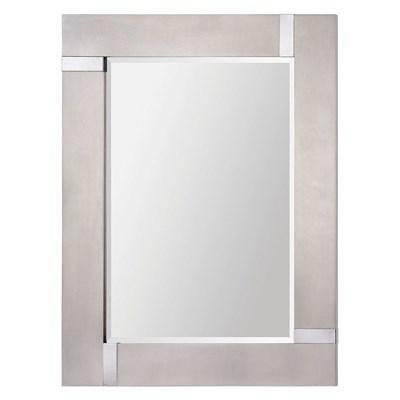 Authentic industrial design pure and simple, the Hudson mirror features an iron ring frame and iron nickel-plated rivets. 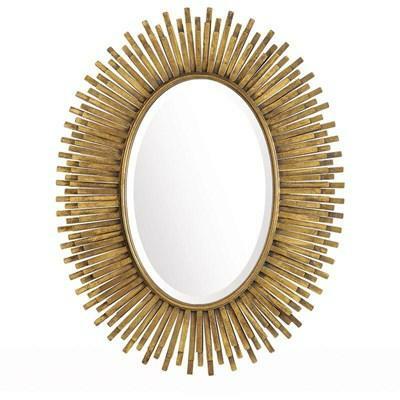 A great golden fringe frame surrounds a beveled oval mirror. 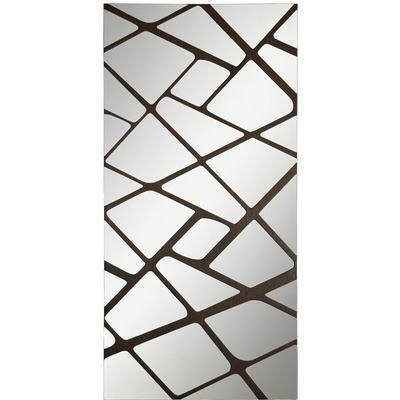 Made from metal and MDF with a stunning antique gold leaf finish.